A Twin Cities start-up construction company is launching an effort to fill hundreds of vacant lots in north Minneapolis — remnants of the city’s predatory lending and foreclosure crisis — with factory-built homes from Dynamic Homes that will be made and sold for far less than the cost of an average new house today. “This is what we’ve been trying to do for five years,” said Cherie Shoquist, a project manager for the city’s planning and economic development department, lauding the plan as a solution to a long-term problem. Smart Homes, a private company that’s associated with Fridley-based minority-owned Thor Construction Co., broke ground Thursday on a model house — a four-bedroom bungalow at 43rd and Irving Avs. N. that will have 1,800 square feet of living space and a garage. The company is ready to start construction on another 15 lots, and the company expects to continue to acquire sites as demand dictates. 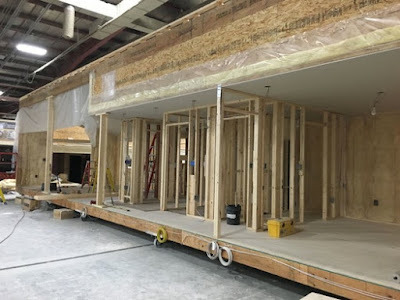 Although Thor will provide some support, the houses will be built in a factory in Detroit Lakes by Dynamic Homes and delivered to the site in sections.